Welcome to Edgewater Beach Resort! Emerald Coast by Owner is proud to offer you a number of elegant properties throughout this gorgeous complex. Edgewater is a great place for everyone to stay, no matter what kind of trip you're looking for! This high-class resort offers you so much, you may never want to leave. With our massive beachfront outdoor pool and ten other pools, yes there are 11 pools here! Four jacuzzis, the exercise room, six tennis courts and thirty-six holes of golf! The possibilities are endless when you stay here! 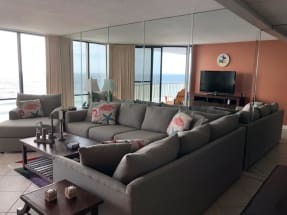 As for the actual property you'll be sleeping in, our condos offer a fully equipped kitchen, washer and dryer, beautiful beach views and much more! As for what to do in the area, our activity directors at the resort can set you up with parasailing, jet skis, weight lifting, a body wrap, tennis or golf! When it comes to dining out down here, there's a large abundance of delicious seafood and traditional food along the coast, offering you great food, service, and drinks so you have the time of your life! 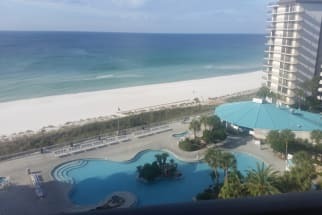 Book your next vacation rental with Emerald Coast by Owner. 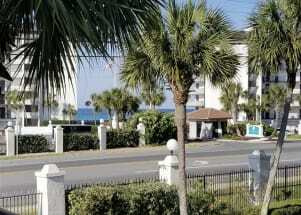 Browse our listings at Edgewater Beach and Golf Resort below. Be sure to click the email owner button or refer to the phone number found on each listing to get into direct contact with the property owner or manager. ECBYO does not charge booking fees! 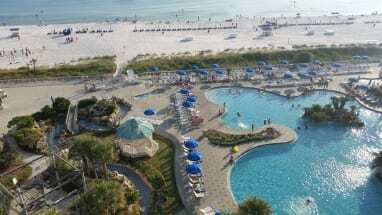 We hope you enjoy your stay at Edgewater Beach Resort.